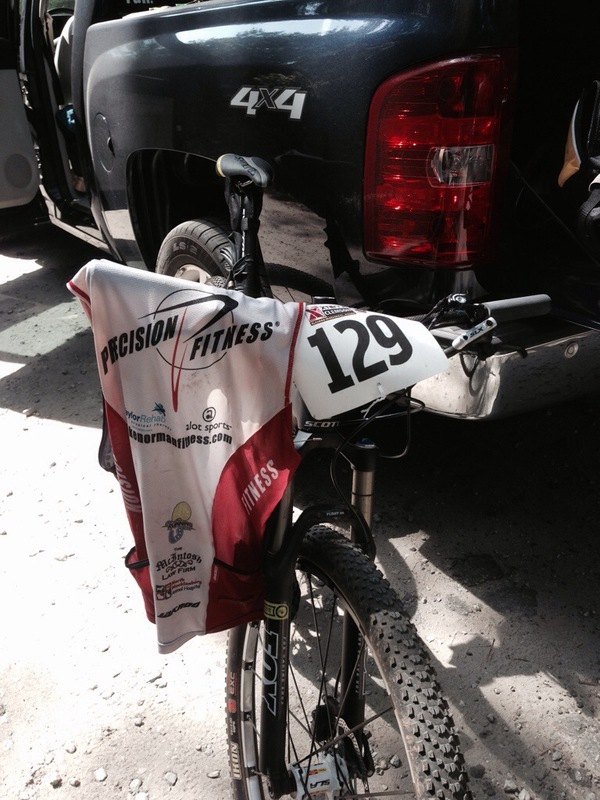 This past Saturday I took part in XTerra Clemson. I was hoping for an improvement from the Richmond disaster. We arrived the day before, I got a quick ride/run/swim in, then it was off to eat and get some rest before race morning. We arrived early, yes that’s we, I brought my Mom again…I set up transition and did a short run warmup before getting in the water. The horn sounded and we started. I was getting pretty beat up for the first 200, more than usual. But then things opened up and all was good. As usual this race was billed as a 1000 swim but was closer to a 1200. I got out the water around 22nd feeling good. Transition was quick and I was riding(quick thanks to Alain for letting me borrow his bike for this event). It was going well, I felt quick and was passing quite a few people. Into T2 I was 10th…now I thought it was time to really go. The run course was technical and in hindsight was a little too careful with a recently turned ankle and bruised foot because instead I of my usual run, where I pass a few people…I was being passed . The last time was by a group of 3 people within about a mile of the finish. I couldn’t let this happen, so I held onto them as much as I could. 2 pulled away a little farther but I managed to sprint past 1 of them at the finish. Final result was 14th…much better than Richmond but still not inline with my goal for the season. There are still a few races left…and Nationals are still a possibility.